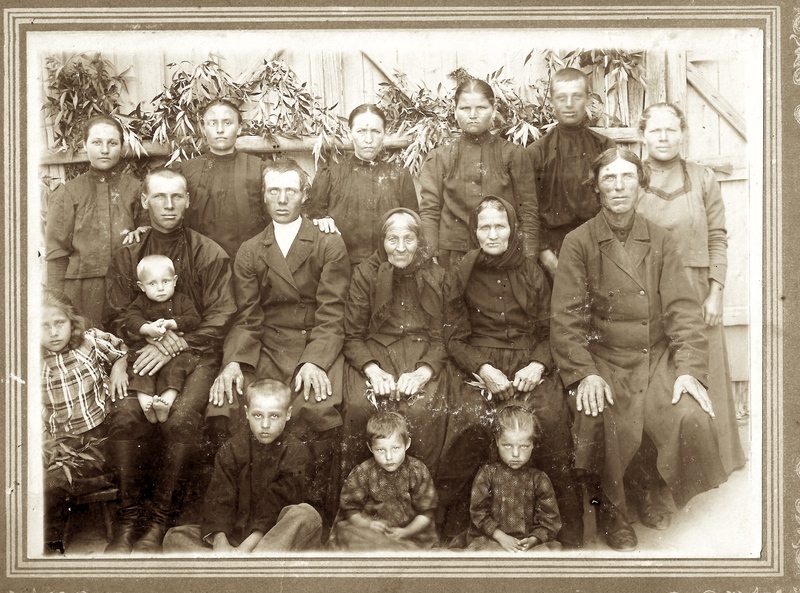 ​This photograph of the Heinrich Hinkel family was taken in Norka, Russia, probably in the late 1890's. ​Heinrich was born May 26, 1854 in Norka, the son of Adam Hinkel, born December 21, 1828. Heinrich is the man seated on the far right. Heinrich's wife, Catharina Hinkel (née Bauer), is seated to his right. Catharina was born on April 12, 1853 in Norka, the daughter of Johann Georg Bauer (born May 3, 1833) and Catharina Elisabeth Blüm (born December 2, 1832). Catharina Elisabeth Bauer (née Blüm), is seated to her daughter's right (in the center of the photo). It is likely that Heinrich and Catharina's children: Johannes, Magdalena (Maria) and Conrad are also shown in the photograph. Please contact us if you can identify people shown in this photograph. Photograph courtesy of Gail Niemann.